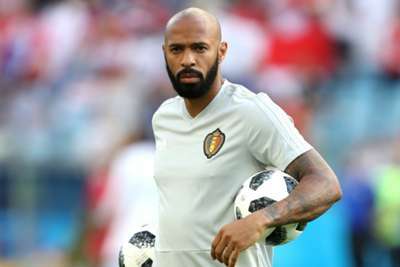 Robert Pires believes former Arsenal team-mate Thierry Henry has chosen the right time to move into management, claiming both the new Monaco boss and Nice's Patrick Vieira will succeed. Henry has been appointed as Monaco's head coach following the departure of Ligue 1 title-winning boss Leonardo Jardim, with the Arsenal great making the move to Stade Louis II following links to a number of other clubs. Pires sees this as the right move and he is enthused by the presence of a pair of ex-Gunners on the touchline in France this season. "I think this is the right time for Thierry Henry. For a long time, he has wanted to be a manager," Pires told Sky Sports News. "Of course, I think he was waiting for a good opportunity. "Monaco is a great opportunity, because he started with Monaco when he was a young player and now it's like he's at home. He knows the club, he knows the staff. For him, it was important to take this opportunity. "In France, all the people are very happy because it is important they can see a new face on the bench like Thierry Henry or like Patrick Vieira, the manager of Nice in Ligue 1. "Sometimes you need some fresh faces. That's why I'm very happy for Patrick and Thierry. I think both of them can be a success in Ligue 1." Former New York City coach Vieira took charge of Nice ahead of the current season, with his side 12th in the table after nine matches. They face Henry's Monaco in December.